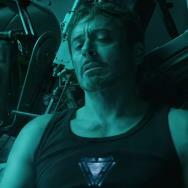 Movies.com > Movie News > The Last Sci-fi Blog: Is It Possible to Reinvent the Alien-Invasion Movie? The Last Sci-fi Blog: Is It Possible to Reinvent the Alien-Invasion Movie? When I revisited Independence Day for my last column, I was struck by how old-fashioned it really is. 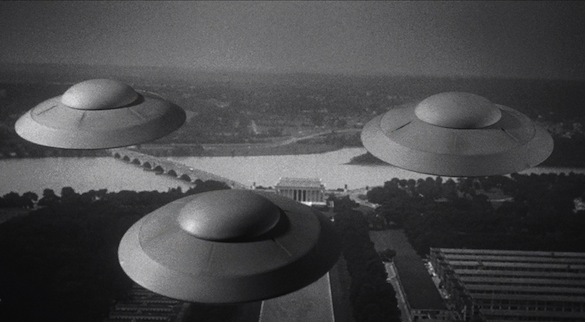 Despite all of the special effects and movie stars on display, it's still a movie where a bunch of flying saucers appear above the planet, shoot at humanity with ray guns and force mankind to fight back against insurmountable odds. That's a template the movies have been using since the '50s. With some minor changes, it's a template that author H.G. Wells invented well over a century ago with his novel War of the Worlds. Now, there's nothing wrong with movies where UFOs hover over major landmarks and blow them to smithereens, but after decades of seeing movies like this, you have to wonder what else the alien-invasion film can do. How else can it stretch? Can it be continuously reinvented? Writers and filmmakers have spent the past few years bending over backwards to find new ways to tell zombie stories -- surely alien-invasion movies can receive the same treatment. This is a very timely discussion since the long-gestating Independence Day sequel is officially on the schedule for a 2015 release. It's hard to imagine director Roland Emmerich making a movie that's too similar to the trappings of the original. That would be a mistake. We've already seen a city-sized spaceship decimate the White House (and have seen plenty of other movies do it since then) -- a sequel to Independence Day will have to reinvent the alien-invasion wheel if it wants to separate itself from its predecessor, its imitators and every other traditional alien-invasion movie out there. And it's totally possible. Alien-invasion films may not have had the insanely public Renaissance as zombie films, but people have been toying with the genre for some time now. Let's start recent. Really recent. 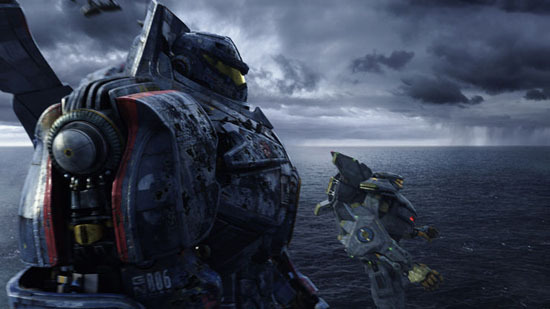 There's actually a film in theaters right now that serves as a reminder that alien-invasion movies can completely break from the norm and that film is Guilermo del Toro's delightful Pacific Rim. Despite wearing the clothes of an old-school homage to old monster movies, it's actually an alien-invasion movie at its core, with massive aliens invading our planet from a portal beneath the Pacific Ocean instead of arriving in UFOs. Like Independence Day, it's a goofy crowd-pleaser filled with occasionally hammy performances (but also a lot more imagination) and it scratches many of the same itches. It just does it in a way that's completely and utterly unlike anything and everything else. Now, let's jump back in time. 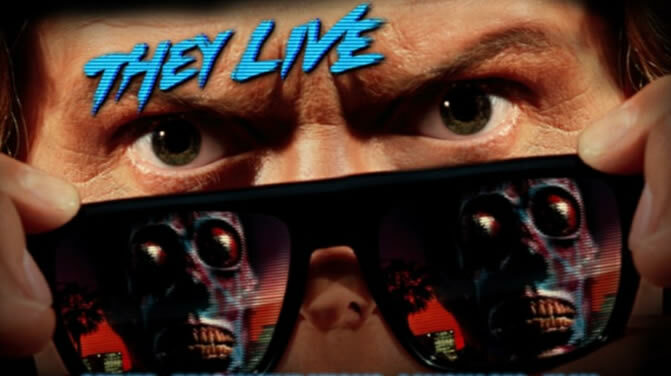 John Carpenter's They Live is probably one of the best alien-invasion movies that people forget is an alien-invasion movie. After all, it abandons all of the usual iconography -- no UFOs, no city-destroying cosmic blasts, etc. Instead, it proposes something far more chilling (and hilarious). 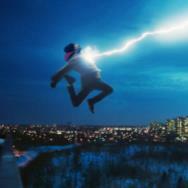 In the film, the world is currently being invaded by powerful, hostile alien beings, but no one realizes it. Posing as the powerful and the elite, the aliens have seized control of the planet's leadership and have filled the world with subliminal messaging to force humanity to bow to their every whim. But of course, you already know that because you've seen They Live. Right? Right?! And then there's Steven Spielberg's War of the Worlds, which, despite being based on one of the earliest stories of its type, is about as refreshing and unique as they come. Although it does have some of the normal tropes associated with the genre, the emphasis on the human experience during an alien invasion is totally unique, upping the terror of being caught in a war with extraterrestrials. War of the Worlds is the rare alien-invasion movie that's actually a horror film, offering no hope, no heroes and very few answers. It's a powerful nightmare of a film, an anti-Independence Day that suggests that the last thing mankind will do in the face of invaders from outer space is come together. This all feels like the tip of the iceberg. Considering the infinite possibilities that are quietly inherent in this genre, it'll be massively disappointing if Independence Day 2 (or ID Forever Part 1 or whatever the hell they're calling it) retreats to the "big spaceships blow up big cities" well. I'm certain it will feature plenty of nifty destruction since that is Emmerich's forte, but I also hope everyone involved finds a way to twist our expectations. A second Independence Day could be a tired retread or it could push the genre it helped define into an exciting new direction. 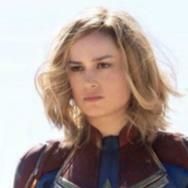 If they waited 20 years to make a sequel, they better have something fresh to say or they better not say anything at all.